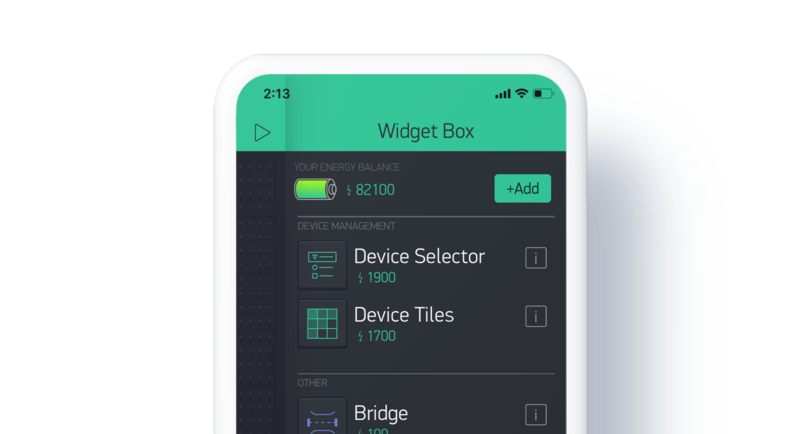 Blynk offers a variety of options when it comes to managing devices, products, and customers in your own business app. When building such a solution using Blynk platform, you would need to prepare the Projects accordingly to your business needs. Let's catch up on terms first. 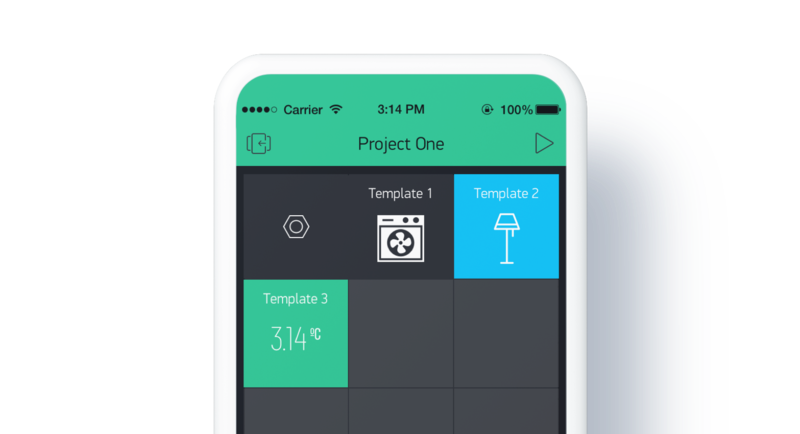 • 📱Blynk App – an app for iOS and Android where you build Projects. Think of it as a development environment. 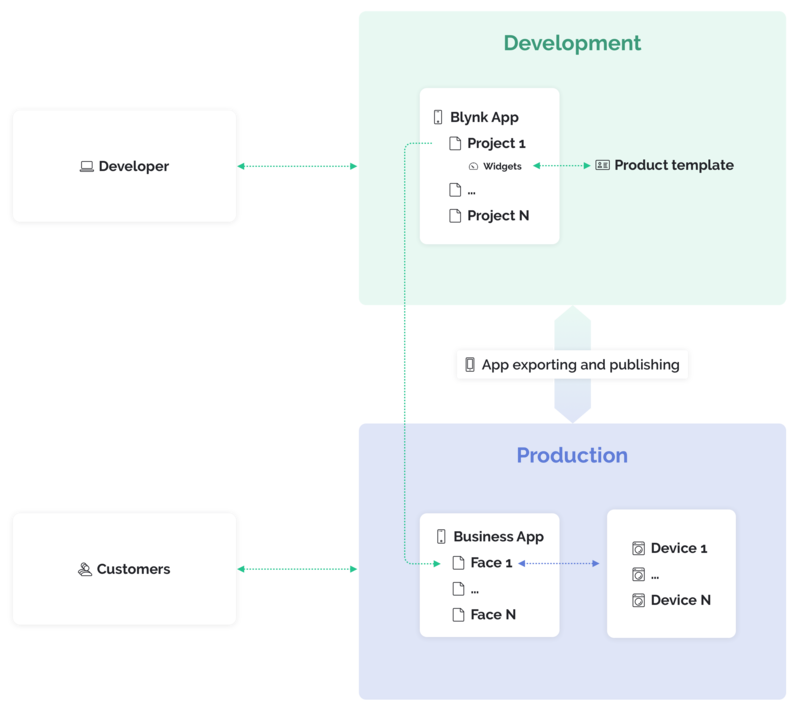 Every Project inside of a Blynk app can be exported into a Business App. • 💡Product – a certain type of device, a template. For example, you can manufacture 3 products: a smart lightbulb, a smart switch, and a Thermostat. They are all different Products. 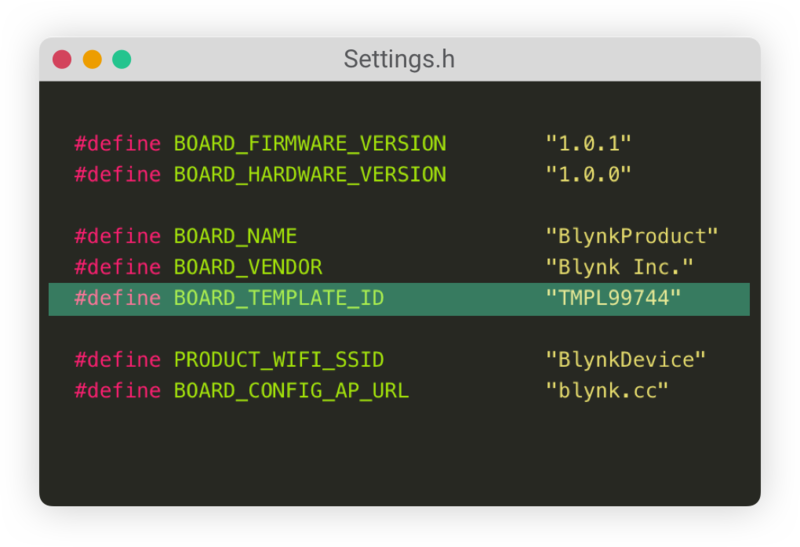 • 🎛Project – layout of widgets in Blynk app to monitor and control devices. Projects have various settings and configurations. • 🗿Face – a Project becomes a Face when the app is exported. Read more about Blynk.Faces here. • 👫Client (or customer) - a person or a company who downloads your app from app stores, connects the device and uses the app together with your devices. 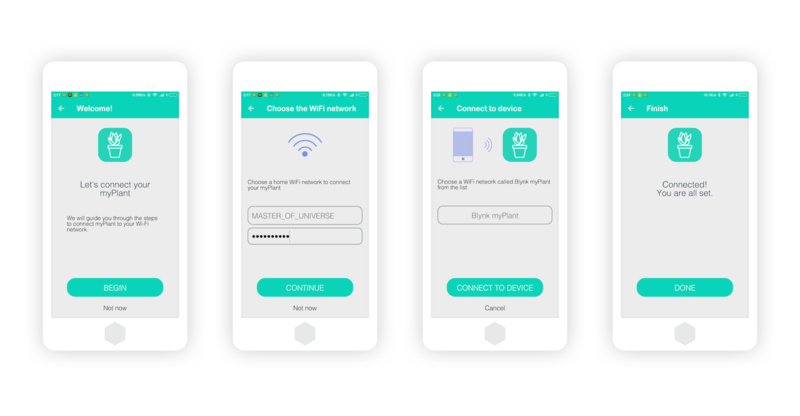 Every app made with Blynk supports working with multiple devices. Depending on Device provisioning type you choose, your customers will be able to add multiple devices. To enable multiple devices management, your project should have Device Tiles or Device Selector widget installed. Check documentation on how to use them. After the app is exported your customers will be able to add multiple devices using a provisioning flow. To manage multiple Products, you need to install Device Tiles widget first. 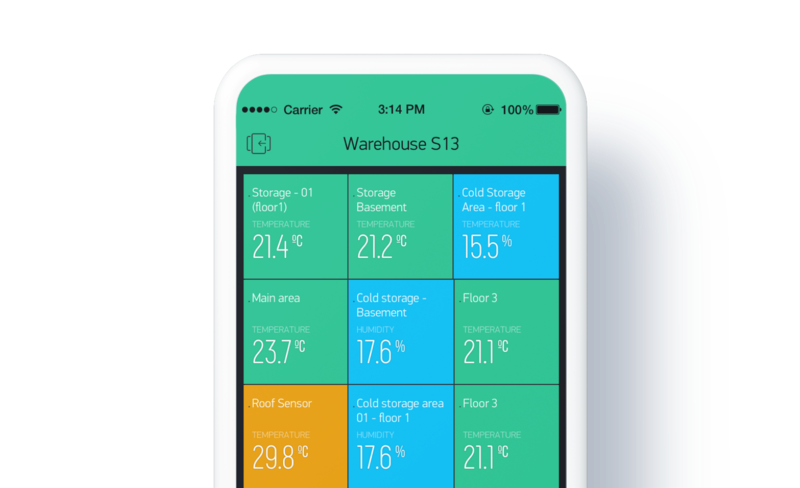 Your customers can add multiple devices of different types and they all will be displayed in the app. List of devices on location. Devices can be deleted, renamed, reconfigured from Device Info section by your customers. Managing Projects for multiple customers inside of your app. One of the scenarios of Blynk platform use is when you need to deliver a custom project for each client you have. 1. Create a separate application for each client. 2. Publish your own app which will host Face (Project) for every client of yours. This will be your branded app, and using Blynk.Faces you will be able to manage and deliver specific Faces to specific clients. Blynk.Faces also allows you to update interface for every client without re-publishing the app. Read this article about app updates.